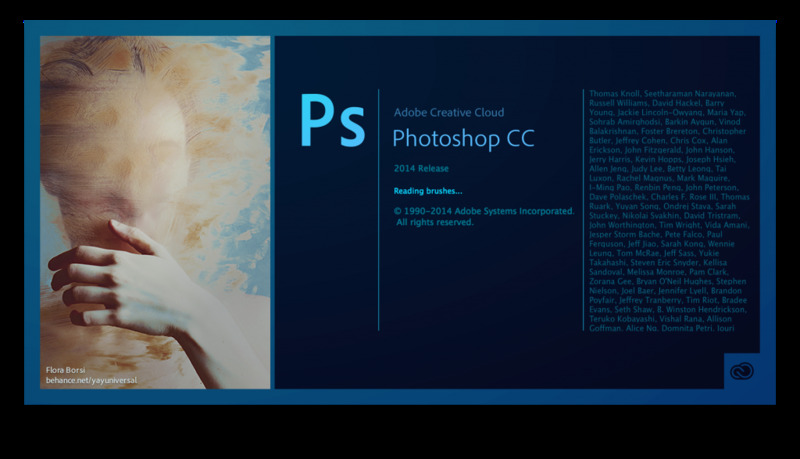 [ #Photoshop ]Adobe has unveiled Its Photoshop CC 2014.2 during Adobe MAX conference. Check out features like New Doc Presets, New Guide Layouts, Layouts based on a shape, Smarter smart guides, Overscrolling preference, Creative Cloud libraries, and Extract. Photoshop now has the ability to read COLLADA rigged and animation data. This feature is available on the timeline, it allows you to pose the model at a certain point, then print it. This feature will be covered in more detailed in a later post. Photoshop CC also supports the option to export 3D PDF’s. The Export 3D PDF option is available from the 3D menu. Selecting this option will output a PDF with all of the 3D PDF controls enabled. Of the other features, the biggest change is probably to Adobe’s Creative Cloud accounts themselves. New Libraries let users store colours, brushes, text styles, graphics and vector images in a central cloud repository. The assets can be used in any supported application, also including Illustrator, on any connected device. Performance has been improved – the GPU-accelerated Mercury Graphics Engine now supports Focus Area – and touch control is now officially supported on Windows 8.1 devices instead of being an experimental feature. Designers get the option to create multiple guide layouts and guides from shapes; and web designers get an Extract Assets feature for pulling web-optimised images from a PSD file in multiple resolutions and formats.